We offer a variety of concrete curbing & flatwork services in Brandon, FL to guarantee you a surface that is long-lasting, durable, and effective. Concrete Curbing & Flatwork in Brandon – Here at AAA Top Quality Asphalt, we offer a variety of concrete curbing & flatwork services to guarantee you a surface that is long-lasting, durable, and effective. Whether you are in need of a large flatwork surface, such as a parking lot or sidewalk, or if you are looking to create a curb or other permanent barrier, you can be sure you are receiving a high-quality concrete service. Many business and land owners don’t consider what a poor concrete service may mean for their property. An improperly finished project will not last. Concrete curbing & flatwork that is done incorrectly can be uneven and may crack. What this means for you is a waste of time and money. 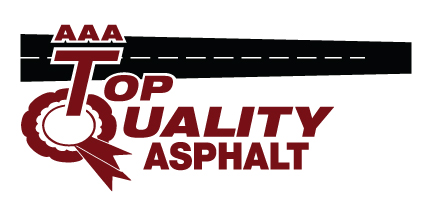 Don’t trust your property to just any concrete service provider; trust AAA Top Quality Asphalt for all your asphalt and concrete needs. Our flatwork services are dependable, meaning you will receive a finished product that will last for many years to come. We can perform all excavation services before we lay out your flatwork, saving you the hassle of needing additional contractor services. We can perform flatwork services for residential and commercial properties, both interior and exterior. We know you will be impressed with the quality of our concrete services. We have over a decade of experience in the Brandon, FL area, as well as a long history of excellent customer service. Each of our high-quality concrete options will give your business a low-maintenance, cost-effective structure or landscape solution. We offer many design and base options to give your property a unique, natural, and enduring look that your customers will appreciate. If you are in need of any concrete curbing & flatwork services, contact us today. We offer free estimates and affordable financing options. Concrete curbing comes in a variety of colors, which means you can create any number of different looks for your Brandon, FL property. In general, the term “flatwork” refers to any concrete slab that will require finishing. This includes everything from concrete walkways, driveways and patios to floors.